The 2015 Sustainable Development Goals and the UN Decade of Action on Nutrition call on all countries to end hunger and prevent malnutrition in all its forms by 2030. This is quite a challenge, and it is a challenge with sustainable agriculture and food systems at its very heart. And the current situation doesn’t look good. The latest State of Food Security and Nutrition in the World report estimates that in 2016 the number of chronically undernourished people actually increased to 815 million (up from 777 million in 2015). The report identifies that the food security situation has particularly declined in parts of sub-Saharan Africa, South-Eastern, and Western Asia, and especially in situations of conflict as well as conflict combined with severe climatic events such as droughts and floods. Sustainable Development Goal 2 also sets the world targets that agricultural productivity and the incomes of small-scale food producers should double by 2030. At the same time food production systems should be sustainable, reduce their impact on ecosystems and be resilient to environmental change. But here again we are facing major challenges. The latest evidence from advanced global crop models suggests, for example, that global yields of wheat, rice, maize, and soybean will decline substantially with the predicted increase in global temperatures in the coming years. Recently, the Sustainable and Healthy Diets in India project led by the London School of Hygiene & Tropical Medicine calculated for the first time the greenhouse gas and water footprints of food production in India and estimated the dietary changes required to meet future declining groundwater availability. These are among the first research efforts in South Asia to quantify the links between environmental sustainability and food and nutrition security at a time when, because of rapid urbanisation, transitions in diets and increasing populations, the food system is under increasing pressure. So what sustainable agriculture and food systems are there that can ensure food and nutrition security in the future for South Asia? 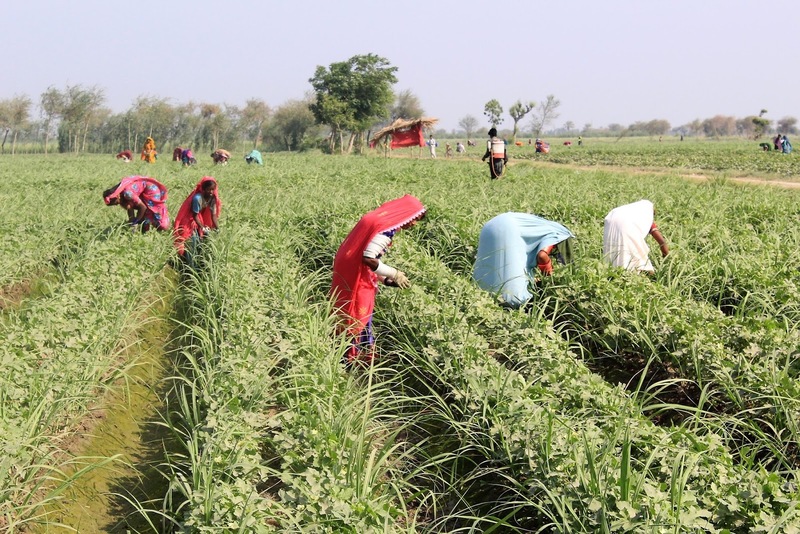 The LANSA programme is working with local communities in India, Bangladesh, Pakistan, and Afghanistan to identify farming system interventions that address community nutritional inadequacies, reduce environmental impacts, and also increase resilience to environmental stressors. These are important first steps in the generation of novel evidence to help meet current and future agriculture and food system challenges. But the challenges the world faces are likely to be very great. Are we happy that we as a community working in agriculture, food systems, public health, and policy are really doing enough to respond? Let’s begin to answer this! Join the LANSA Consortium three-week online discussion on FAO’s Food and Nutrition Security Forum from October 23 until November 10, 2017. Voice your concerns, share your opinion and examples of good practice, and network with scientists across the agriculture-nutrition space. To receive registration details, send an email to lansa.southasia@gmail.com by October 20, 2017. This is a very relevant topic. What work has been done in Pakistan LANSA so far? What exactly is the scope of "Sustainability" in this? The Collective blog is written by researchers and guests of the Collective for Social Science Research. The authors share insight on their multidisciplinary research covering areas of social policy, economics, poverty, gender studies, nutrition, agriculture, labour, migration, and conflict with the objective of fostering informed debate on social, political and economic issues and policies. The posts on this blog reflect the opinions of each individual, and not necessarily those of the Collective for Social Science Research. Pakistani politics: Where are the women?